Every time the rainy season comes in, PAGASA is always in national news headlines. It beats Kris Aquino’s spot in the list of top public interests. The government agency is always being blamed for their inaccurate weather forecasts. Unfortunately, some top government officials do not know the meaning of “forecast”. But they know the meaning of “unpreparedness”. Mothers become very worried because they needed to buy their children new umbrellas, thick clothes and vitamins to combat the cold weather. They become economists, with a list of things to buy and the establishments that have the lowest prices of goods. 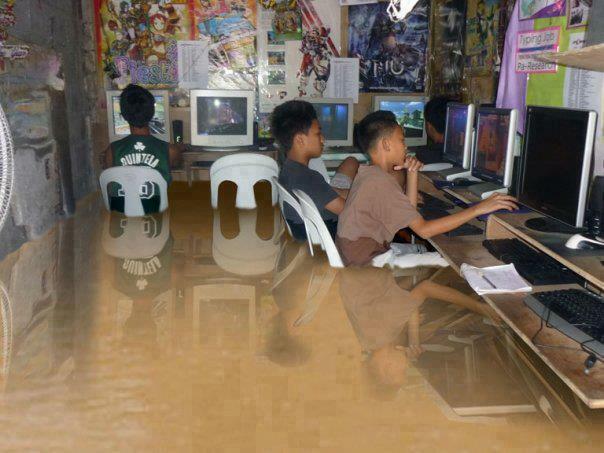 Students always wait for Kuya Kim to announce that a new typhoon is hitting the country in hours and that all classes in all levels are suspended. If such announcement is not mentioned in any news show, they verify it with their teachers via Facebook. If there are people who are happier with class suspensions, it must be the teachers who still get paid even if they do not work. In Metro Manila, even a simple rainfall brings flood to some areas. The stupid blame the government for this; the smart goes to clean their canals and stop throwing their garbage anywhere. Years ago, the tandem of typhoons Ondoy and Pepeng claimed lives and properties in Little Kibungan in La Trinidad, Benguet. Insurance companies also suffered. Many Filipinos hate it when it pours with rain (and not with money or goods from America).